Ever since Pokémon Go was launched in 2016, there have been stories about these virtual creatures popping up in strange places. Sometimes, in places where they really shouldn’t be… at Holocaust museums, or in the uncleared minefields of Bosnia and Herzegovina. Well, now it seems you can also catch pokémon at the site of the world’s worst nuclear accident: the Chernobyl Exclusion Zone in Ukraine. The Bohemian Blog recently published a long report about hunting for pokémon in Chernobyl, with screenshots taken in and around the Exclusion Zone. Apparently there are plenty of playable locations (gyms and pokéstops, for those who speak the language) around the town of Chernobyl itself – a settlement inside the slightly less dangerous ‘30km Zone.’ Today the town has around 700 inhabitants, and Pokémon Go works the same here as it would anywhere else. The local Lenin statue even features as an in-game location. “A wild pidgey appeared”: Catching pokémon in the Chernobyl town shop. 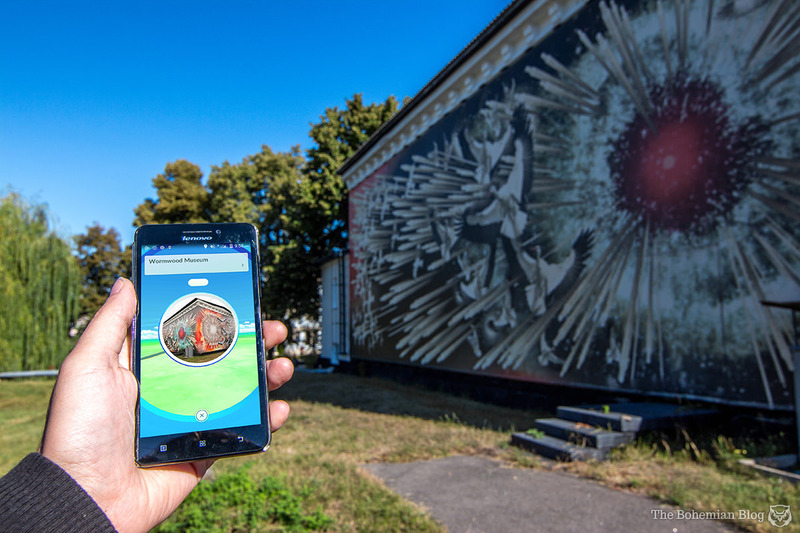 ‘Wormwood Museum’: A memorial complex in Chernobyl, now featuring a pokéstop. Workers arriving at Reactor 4 of the Chernobyl Nuclear Power Plant, Ukraine. Looking out across the cooling canals, from Chernobyl Reactor 4. Not a pokémon in sight. No pokémon appear at the area around Reactor 4. Tourists drinking beer at the Lenin monument in Chernobyl. In Pokémon Go, the area around the Lenin monument is full of digital monsters. …and here’s how it appears in the game. There are more unusual pokémon locations over at The Bohemian Blog… including the abandoned communist monuments in Bulgaria that now feature as playable locations in Pokémon Go. A tour bus passes the sign for Pripyat. Chernobyl Exclusion Zone, Ukraine. So what do you think? Is it a good idea to go looking for digital monsters in Chernobyl? Or should the game’s creators be a bit more careful about choosing where the game can and cannot be played?